On Friday, we told you about the special deal that Best Buy has for Saturday only on the Apple iPhone 5. Trade in a working Apple iPhone 4 or Apple iPhone 4S and receive $150 toward the purchase of the latest version of Apple's iconic smartphone. That would normally cut the price of the iPhone 5 to $50. But last week, the big box retailer had already cut the price of the Apple iPhone 5 by $50. 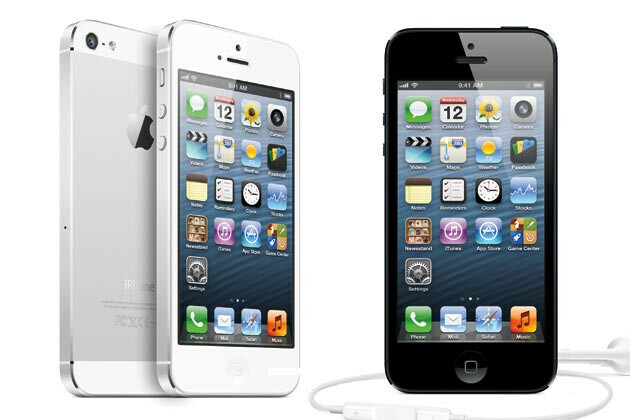 That means that if you trade in an Apple iPhone 4 or iPhone 4S today, you will get the Apple iPhone 5 for free. You must have an upgrade available from AT&T, Sprint or Verizon, or open a new account with one of those three mobile operators. You will also need to sign a two year contract with the carrier you choose. Another promotion for the Apple iPhone 5 can be found at Target. The discount retailer is taking $50 off the price of the Verizon, AT&T and Sprint version of the handset starting on Sunday and running through June 9th. That is the day before WWDC kicks off. But wait-there's more. Through July 9th, trade in a working cellphone and take another $50 off the Apple iPhone 5 or Apple iPhone 4S. Again, a two year pact must be signed. Why is there such a strong desire to get rid of Apple iPhone 5 inventory? If we didn't know any better, we would think that a new version of the handset is on the way. OMG this is hilarious! this is a mid-range phone that costs arround 700$. Ouch! Never thought of it that way, lol! while THE GS III is like 39.99-79$. Are you talking about the Lumia 920 that is FREE on AT&T or the Lumia 920 that is going for $200 on Craigslist? LMAO. Part of the reason why it's expensive is because of it's high resale value. The iPhone 5 is the most advance iPhone money can buy, therefore, it's clearly not a mid-range device. If you are like many people who can't afford the iPhone 5, you have the option of the 4S or 4. Personally, I am waiting for the 5S to come out and see how Virgin Mobile, Boost Mobile, Straight Talk, etc. positions the 5 and 4S. I need to replace my aging Moto Triumph that is going to be 2-years-old this July. They're only speaking the truth. Refer to time magazines list of greatest inventions. Once something reaches icon status it never loses that distinction. You should know that, but I guess you don't use anything iconic. Pretty sure xperia thumbed you down for this one. And the rest 3 are the smartest people on here, haha! Just like those iconic actors from the 70s that are dead or serve no relevancy in today's society. They need to say "best" instead. I would say it's the most well rounded. It's smaller screen, and basic UI make it the best phone for new Smartphone buyers, but the hardware is good enough for expert Smartphone users to still get by. But it is far from the best... There are many smartphones that best it in overall specs. That's like arguing that the Camry is the best car vs Corvettes, Hummers, and Ford F150s. Sometimes the phone or car that is the most well rounded is actually very mediocre and has had to make a lot of concessions to get to that status. Specs, specs, specs, that's all you goons yap about. Too bad that Android needs Octo cores just so it could run smooth like my DUAL-CORE iPhone 5. Pathetic. It's an easily recognizable smartphone by people who own and also by those people who don't own the device. However, the same cannot be said for the typical android smartphone. iScratch, iDents iPhone 5 should be only cost $200. Samsung FTW. You Samsung fanboys are ten times worse than apple fanboys ever were! Really? Seems like a lot of Samsung hate and backlash going through phone site comments these days. I've barely seen anyone who I would label a foaming at the mouth Samsung fan boy any time recently. S-Plode, S-Cratch, S-Bloat. It can go the other way to. Lmao, mxy! That's a new one! Small.Boring aMeRiCan phone made in China with one year warranty! 99% of products are made in china plus one year is the standard warranty length. iPhone 5 is the best smartphone out there! This is great! I will add another 2 lines, just so I can have 3 iPhones. Thank you, Apple & Target. 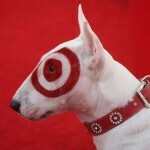 The trade in at Target adds $50 to any existing trade in value towards the purchase of an iPhone. A phone that normally trades inf or nothing gets $50. A phone that normally trades in for $50 gets a total of $100 trade value.